The thing I love the most about the BBG community is the warmth, kindness, and sense of belonging that everyone extends to one another. The second BBG sister that I met a year and a half ago was a beautiful girl named Almut from Germany, who was traveling the world and tasting the world (her IG handle fittingly is @tastingtheworld)! Getting to know her and spend a few hours together, although brief, was wonderful, and we’ve been long-distance friends ever since! She has the most beautiful food on her IG feed, so naturally I thought it fitting to ask her if she would be kind enough to share one of her amazing recipes on my blog! She decided to share her delicious chia chocolate pudding! If you love this recipe or try it out, leave a comment below! A couple of days ago I was asked by Shannon if I could share a one of my recipes. “Sure, I would love to! !” I answered. However, I did not know how difficult it was to finally make up my mind and to write the measurements down. I am this kind of person in the kitchen who creates dishes by sense of proportion and intuition, so please let me know if this recipe does work for you. The chia chocolate pudding is one of my favorites when it comes to satisfy my sweet tooth, but the healthy way. Why? Well, chia seeds are loaded with important nutrients and an excellent source of omega-3 fatty acids. They are also rich in antioxidants, fiber, magnesium, zinc, iron and calcium. 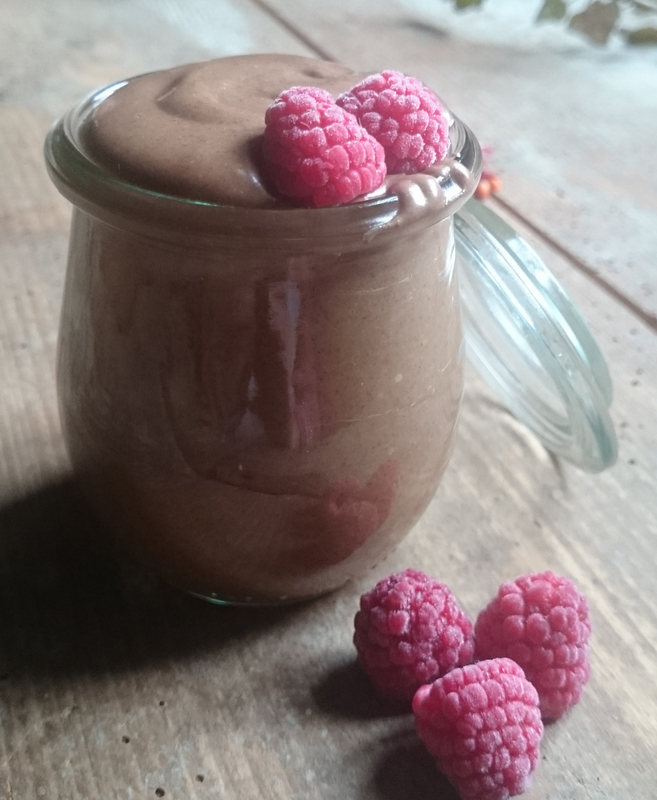 So, whenever you decide to treat yourself, why not making this simple pudding? I always have a jar of soaked chia seeds in the fridge, to be able to make this beautiful and simple dish within minutes. Mix chia seeds and water/plant milk and set aside for about 30 min. Stir from time to time to avoid clusters. Soaking not only improves digestibility but creates the “gel” we want to get the right texture. Pour the pudding into two to three serving dishes and add some toppings of your choice. I grew up on a small organic farm in Germany. Homegrown fruit and veggies, raw milk, fermented products – that’s what we lived on. Going fully plant based and gluten free a couple of years ago was only a logical step. Ever since, I love creating healthy and tasty dishes which are simple and easy to prepare. The other part of me loves traveling, yoga, working out, spirituality and mindfulness. Follow your heart and you will find peace and love. Sweating Almost Every Day of the Week and Staying Clean too!